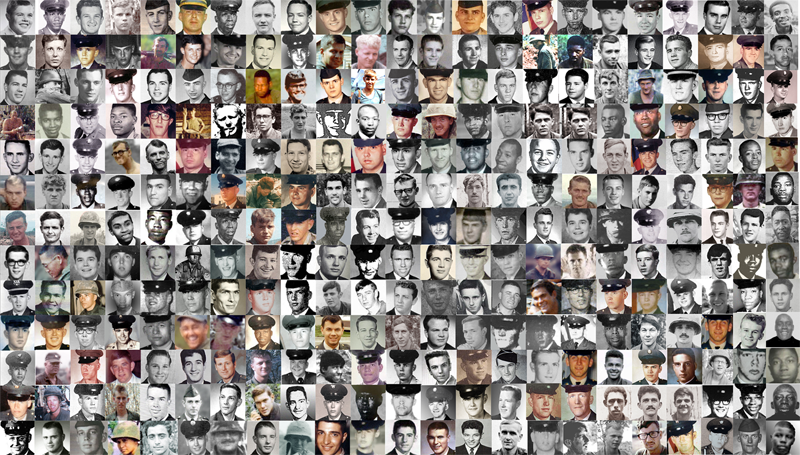 These are the faces of our 253 Fallen Red Warrior brothers, plus 34 men who supported our battalion as Artillerymen, Engineers and Maintenance. Men appear in order of the earliest casualty to last for the period. Grateful Thanks to the late Bob Harik of Chico, CA who took it upon himself to search for many of the photos you see in our collection. He found over 150 pictures of our men. A dedicated man who we miss. Bob Harik 1933-2016 Honorary "Red Warrior"